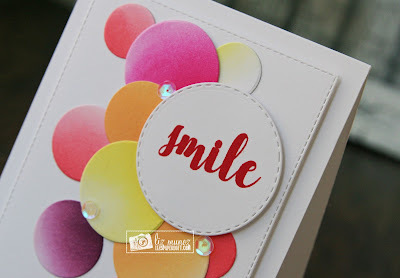 Liz's Paper Loft: MCT June Release Sneak Peek Day 1 ~ smile! First thing I did was some ombre ink blending with several colors then die cut the circles. Really fairly simple. 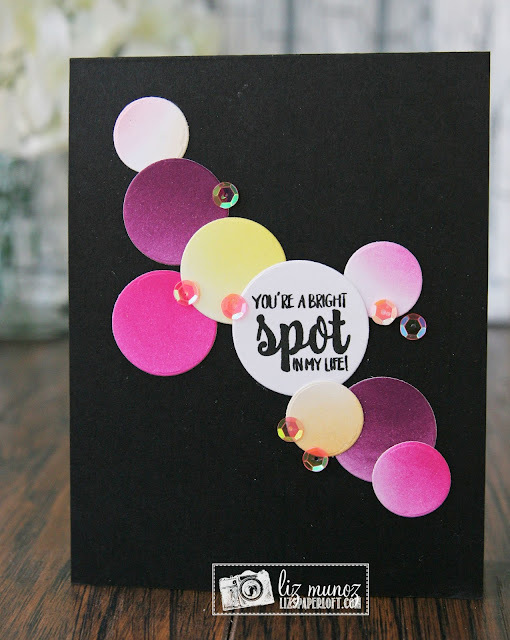 I had a few extra ombre circles, just enough to create another card, but in black. Be sure to show some love to my DT sisters ! OMG Miss Liz..WOWIE WOW You sure did create two Fabulous Cards. Your inking is awesome you sure achieved Beautiful color...Your white card is fun and so pretty and your black card is Gorgeous!! You so did two super outstanding creative jobs!! Awesome cards. They both are simply perfect. You can't go wrong with this set for sure. TFS... Tereese S.
Love your card!! 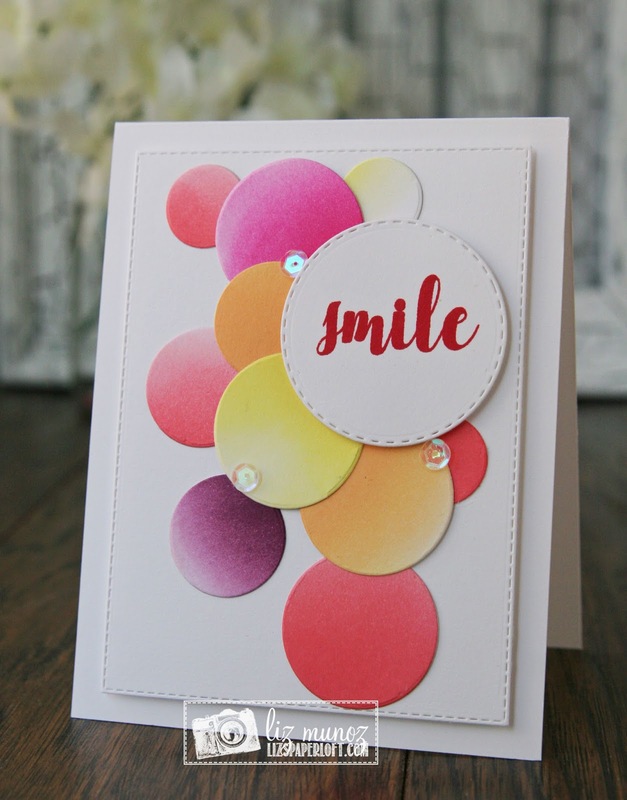 Such a fun color combo and I love how you created the 3d look with all the circles! Your cards are gorgeous, Liz! Love this new set! 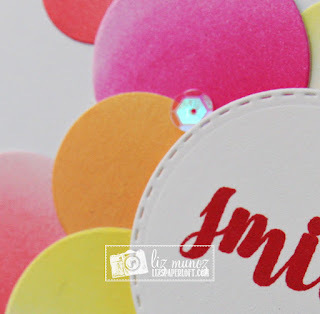 Gorgeous stamped and then die cut circles, love your cards. Fun designs! I love the bright colors and how fun to share another card on black~it really stands out! Great job!!! Can't wait to see more of the release! Love both of your cards! Your shading looks amazing on the circles! Such a fun set! I love it! Beautiful cards! Love the bold colors and these fun circles! Fabulous! The ombre inking is beautiful in your circles. Both cards are so pretty! Nice and bright - I love both cards. Thanks for sharing your wonderful cards. LoVe your card designs. Pretty colors and I like the placement of the circles.